The ability to inhibit unwanted responses is critical for effective control of behavior, and inhibition failures can have disastrous consequences in real-world situations. Here, we examined how prior exposure to negative emotional stimuli affects the response-stopping network. Participants performed the stop-signal task, which relies on inhibitory control processes, after they viewed blocks of either negatively emotional or neutral images. In Experiment 1, we found that neural activity was reduced following negative image viewing. When participants were required to inhibit responding after neutral image viewing, we observed activation consistent with previous studies using the stop-signal task. However, when participants were required to inhibit responding after negative image viewing, we observed reductions in the activation of ventrolateral prefrontal cortex, dorsolateral prefrontal cortex, medial frontal cortex, and parietal cortex. 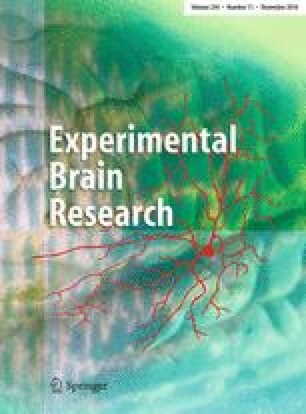 Furthermore, analysis of neural connectivity during stop-signal task blocks indicated that across participants, emotion-induced changes in behavioral performance were associated with changes in functional connectivity, such that greater behavioral impairment after negative image viewing was associated with greater weakening of connectivity. In Experiment 2, we collected behavioral data from a larger sample of participants and found that stopping performance was impaired after negative image viewing, as seen in longer stop-signal reaction times. The present results demonstrate that negative emotional events can prospectively disrupt the neural network supporting response inhibition. The online version of this article (doi: 10.1007/s00221-016-4709-2) contains supplementary material, which is available to authorized users. This research was supported by a National Science Foundation graduate research fellowship to T. K. Patterson (DGE-0707424), start-up funds provided by the University of Oregon to E. T. Berkman, a James S. McDonnell Foundation grant to R. A. Poldrack, and a National Science Foundation grant to B. J. Knowlton (BCS-0848246). We thank Lauren Skellern, Darren Liu, Chloe Su, and Carolyn Prina for assistance with data collection and Katherine Misogas for assistance with data analysis. We also thank Jeanette Mumford for advising on the neuroimaging analyses.